Happy First Day of Spring!! I am excited about the warm weather coming!! Are you? Spring is such a busy time and it’s great to have quick and easy meals to make. I first seen this recipe on Facebook and decided to give it a try! It is a very good all in one meal. I immediately added this to the recipe rolodex! I hope you try it and love it as much as I do! Happy Cooking!! 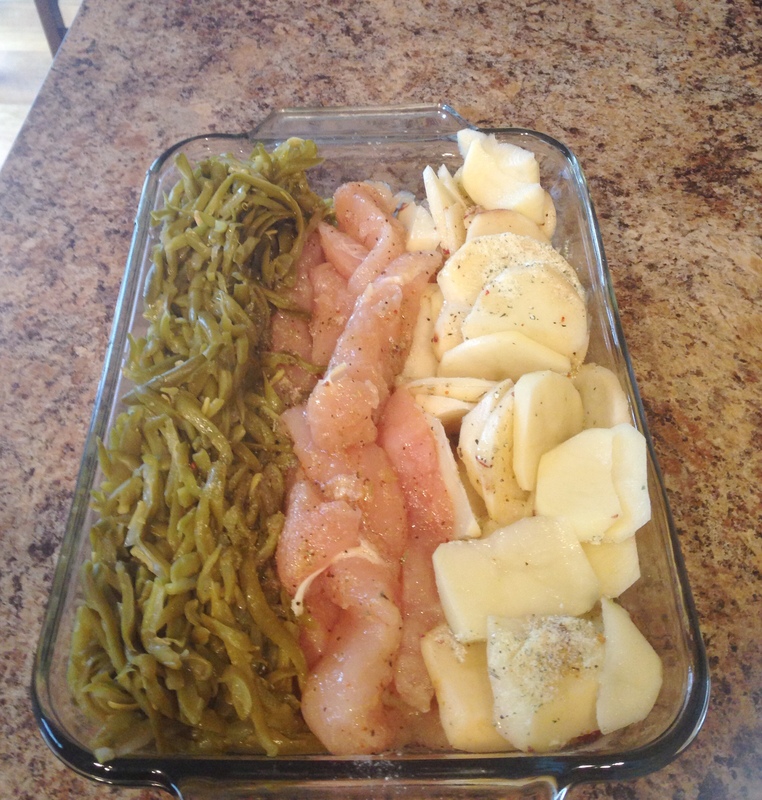 In one 9×13 baking dish place your cut up chicken down the middle of the pan. Season chicken to your taste. Add green beans on one side and cut up red potatoes on the other side. Cut butter in thin slices and sprinkle Italian Dressing over the whole pan. Cover the pan with foil. Bake on 350 for 1 hour. what a quick and simple preparation – perfect for weeknight dinners! I love simple, one-pan meals. Thanks for sharing! I’m super excited for Spring too! I love one-pot meals, especially when it involves chicken!